Fun and innovative - just like you - the new PowerShot N100 brings your stories to life. It starts with Dual Capture using a rear-facing wide-angle "Story Camera." While the main camera shoots the subject, the secondary camera is shooting you, the photographer - easily capture everything from a parent's pride to priceless double takes. When the images come together, the moment in time you've captured gets a whole new spin. And try Story Highlights: a ready-to-share short reel intelligently generated right on the camera from your stills and video†. Share your stories with the world right away: built-in Wi-Fi® lets you transfer images and video* directly to select social networking sites, mobile devices** and your computer. You can even shoot from a distance, controlling the camera with your smartphone or tablet*, and simply touch to a compatible Android™ device*** using built-in NFC (Near Field Communication) for easy wireless connectivity. The genuine Canon f/1.8 lens ensures clear, bright, luminous shots, while DIGIC 6 Image Processor drives the Canon HS SYSTEM for image quality - even in low light - that no smartphone can begin to match. A special moment is more than a simple photo or a video - it's the story behind the moment that gives the memory meaning. So capture it with the innovative PowerShot N100 and its rear-facing "Story Camera." The PowerShot N100 uses the secondary camera to turn your photos or video into a compelling story with behind-the-scenes input. In Dual Capture mode, the main camera shoots the subject while the photographer's expression is captured with a wide-angle 25mm lens sub-camera to preserve the moment with an entirely new feel. It's perfect for capturing everything from a parent's pride to a priceless double take. The images are combined in a single file for a fun picture-in-picture effect in both photos and video, and with three sizes and four positions available for the sub-shot, there is plenty of flexibility for creating the perfect story for the moment. View your still images and video† as a fun short story with the Story Highlights feature on the new PowerShot N100 camera. You can choose to have the camera create one automatically, creating a short video of approximately three minutes* according to date, event or people, or you can customize your Story Highlights reel for a fun, unique video*. It's all done in camera, without the need for any additional software. Easily access and enjoy your Story Highlights - simply press the Story Highlights button to start creating your highlight album. The Story Highlights album can be saved to the camera for quick replay and also shared with the PowerShot N100's built-in Wi-Fi®. † Videos must be shot in Hybrid Auto. *Length of highlight video varies according to the photos and videos added to the Story Highlights album. The PowerShot N100 camera is equipped with built-in Wi-Fi® technology so you can easily share your creative photos and video with friends and family. The camera can connect directly to both iOS® and Android™ devices*, and upload images via the free Canon Camera Connect app** without a computer. Easily post your images to social networking and media sites - Facebook®, Twitter®, YouTube™, Flickr® and now Google Drive™ - through CANON iMAGE GATEWAY# or save them to the online photo album to share anytime, anywhere. You can share your images with everyone or to selected groups, and even add comments. Sharing video is also easy with the PowerShot N100, which records video in the easy-to-share MP4 format. The built-in Wi-Fi® technology on the PowerShot N100 also allows you to transfer images to other Wi-Fi® equipped PowerShot cameras or print your photos directly to a PictBridge (Wireless LAN) certified printer. The PowerShot N100 also features the Mobile Device Connect Button for easy one-touch connection. You can choose to transfer images to your smartphone or tablet for immediate sharing with the Camera Connect app**, or to your computer on the same network with Image Sync to make saving and organizing your images easier. When the camera finds a linked computer on the same wireless network, images are sent directly to it. Otherwise, images are temporarily stored on CANON iMAGE GATEWAY then transferred once a connection is made, eliminating the need for cables. With the built-in Wi-Fi® on the PowerShot N100, you can use your smartphone or tablet* to remotely control the camera. Simply connect wirelessly to your device and access the free Canon Camera Connect app**. Your device will show a live image of the camera's capture - perfect for a commemorative group shot or composing with more freedom. The camera's zoom, flash, self-timer and shutter are all under your control, with images being saved to your camera. The PowerShot N100 camera supports NFC (Near Field Communication) technology, eliminating the need to find and open the Canon Camera Connect app* on your mobile device. Simply touch the NFC icon on your camera to your compatible Android device**, and the Camera Connect app will launch automatically for quick, easy sharing of your images. Built-in NFC technology also makes it simpler to install the app. If the app hasn't been installed yet, once you touch the devices together for the first time, the download screen will display automatically. It's now easier than ever to connect your PowerShot N100 camera to an iOS® or Android™ device* using the Mobile Device Connect Button. The button allows you to choose to transfer images to your smartphone or tablet for immediate sharing with the Camera Connect app**, or to your computer on the same network with Image Sync to make saving and organizing your images easier. Once your device is registered on the PowerShot N100, simply press the Mobile Device Connect button for easy connection. By connecting to a smartphone with the Camera Connect app using the Mobile Device Connect Button, you can browse and share images while still leaving the camera inside a bag. It is also possible to turn off the camera quickly and easily, directly from a smartphone. Once your PowerShot N100 camera is linked to your computer on the same wireless network, you can automatically transfer images to it, for easy saving and organizing of your photos. The Mobile Device Connect Button is great for quick and easy sharing from a fun day out with friends and family. * Compatible with iOS versions 8.4/9.3/10.2, Android smartphone and tablet versions 4.1/4.2/4.3/4.4/5.0/5.1/6.0/7.0/7.1. Data charges may apply. The PowerShot N100 camera features a high performance Canon 24mm Wide-Angle 5x Optical Zoom lens to capture incredible images, even in low light. The lens achieves a bright f/1.8 aperture at its widest, enabling shallow depth-of-field that is perfect for creating portraits with beautiful, soft background blur while the wide-angle gives your images a distinctive sweep and grandeur, capturing landscapes, cityscapes, tall buildings and wide groups of people with ease. And with a focal range of 24-120mm (35mm equivalent), the lens provides the PowerShot N100 camera with the versatility needed to capture moments creatively. The PowerShot N100 camera employs a Canon 12.1 Megapixel High-Sensitivity CMOS sensor to capture precious moments in the quality they deserve. Delivering state-of-the-art imaging performance and optimized for use in compact cameras, the sensor utilizes a sophisticated light-capturing design to provide high sensitivity for improved high ISO capture with reduced noise. It is capable of rapidly capturing and moving image data to the processor, enabling faster continuous shooting and faster autofocus. A camera made for capturing the moment in a whole new way, the PowerShot N100 camera is equipped with the very latest Canon proprietary processor, the DIGIC 6 Image Processor. 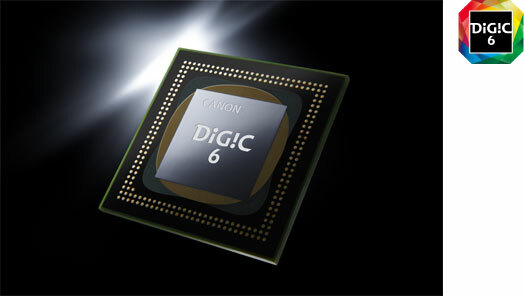 With the DIGIC 6 Image Processor, improved light sensitivity allows for higher resolution with less noise when shooting in dark conditions, and Dynamic IS detects and compensates for tilt and parallel movement (shift blur) to create video that's exceptionally free of distortion. The DIGIC 6 Image Processor also enhances the performance capabilities of the PowerShot N100 with outstanding processing power for the camera's Dual Capture mode. And video recording is better than ever, as the DIGIC 6 Image Processor enables Full HD in MP4 format. Highly compressed MP4 video not only preserves space on your memory card but also improves playback on mobile devices. The PowerShot N100 camera features the renowned Canon HS SYSTEM to capture the moment with spectacular depth, detail and emotional resonance. With the Canon HS SYSTEM - a combination of the camera's 12.1 Megapixel High-Sensitivity CMOS sensor and the powerful DIGIC 6 Image Processor - you'll experience excellent tracking performance even in low light, and achieve gorgeous still image quality at high ISO speeds; beautiful low-light shots are possible with minimal noise and maximum detail in highlight and shadow areas. The Canon HS SYSTEM also lets you use higher shutter speeds to capture clearer images with reduced noise and blur in a variety of situations for incredible photos and videos. Expanding upon the innovative features of the PowerShot N, the PowerShot N100 camera features an advanced Creative Shot mode to make creating artistic photos even more fun. In Creative Shot mode, the camera captures the original composition and automatically produces and saves five additional variations by using advanced Canon technologies to apply filter options based on the individual scene, subject and exposure. On the PowerShot N100 camera, over 40 filter choices are available and are grouped into Retro, Monochrome, Special and Natural categories to make exploring the world of artistic photography fun and easy. With Creative Shot mode, the result is stunning artistic photos that are perfect for sharing. 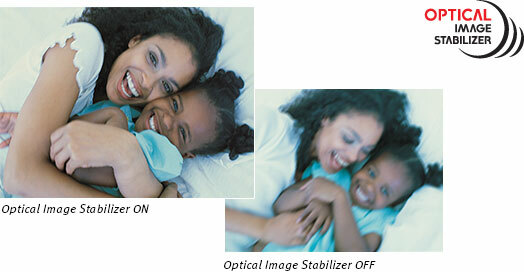 Easily preserve the story of those special moments with the PowerShot N100 camera's advanced Hybrid Auto. Hybrid Auto records up to four seconds of video every time you shoot a still image, then automatically joins the clips and pictures* into a video that captures the essence of special days: vacations, important occasions, or any time you're shooting many shots in one day. Hybrid Auto automatically recognizes the scene and optimizes camera settings to capture the highest possible image quality. The resulting 720p HD video is properly exposed, crisp and steady. And with the PowerShot N100, not only is the "highlight reel" stunningly beautiful, you can also tell the story of your day with behind-the-scenes input. Select the size of the images shot with the rear-facing "Story Camera" and position them as you like to further personalize your highlight video. As the story doesn't stop with the press of the shutter, the PowerShot N100 camera's Hybrid Auto continues to record approximately two extra seconds of the photographer's expression, resulting in a short video that captures the full emotion of the moment. Leverage the flexibility of the PowerShot N100 camera's innovative 3.0-inch capacitive touch panel LCD for more fun, creative shooting. More than just a means of reviewing your photos, the LCD monitor allows for 90-degrees of tilt to open up new perspectives when framing shots - shoot diagonally, horizontally, from low angles or high for the perfect emphasized shot, even when using the rear-facing secondary camera. The top-mounted hinge keeps the PowerShot N100 compact, even when folded out. 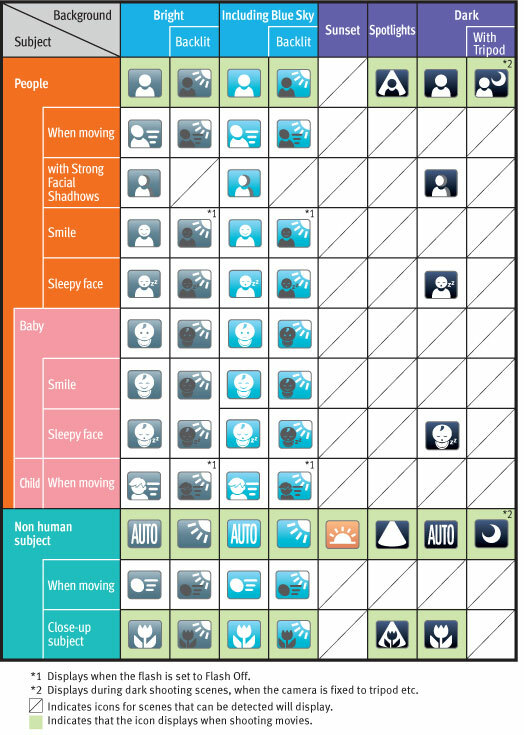 Adjust settings and modes using the intuitive touch-screen menu - use gestures to zoom, rotate, and select images. The versatile control provided by the capacitive LCD makes operating the PowerShot N100 an easy and fun experience. Tell your story not only with photos but with the moving image too. The PowerShot N100 records stunning Full HD video with spectacular realism in a format that is easy to share. You can simply touch the dedicated movie button to start and stop video recording, so you're always ready to capture the moment as it happens. The camera records in lifelike 1080p Full HD, so even when played back on a big-screen HDTV, your videos are crystal clear, with smooth action and beautifully natural color. With the power of the DIGIC 6 Image Processor, video can be captured at 30 frames per second in the popular iFrame® Movie or MP4 formats. Using the iFrame Movie format gives you compatibility to process your video in a wide range of video programs, furthering your storytelling ability; MP4 videos are perfectly sized for quick online sharing - whether you're showing relatives what the kids are up to or posting status updates on social networking sites. It's easy to capture clear, steady images with the PowerShot N100, even in low light without using a tripod. That's because the camera is equipped with Canon's innovative Intelligent IS. The system automatically analyzes camera movement and applies the best shake correction method for the shooting situation - allowing you to focus on framing and capturing your shot. For stills, the system selects from Normal IS, Panning IS, Macro (Hybrid) IS and Tripod modes. When shooting video, the system selects from Dynamic IS, Powered IS, Macro (Hybrid) IS and active Tripod IS modes. New icons clearly mark the image stabilization mode, whether you're shooting still images or video. Normal IS - Corrects for a wide range of camera movement when shooting stills. Panning IS - Panning motion is detected so that IS does not interfere with desired camera movement. Macro (Hybrid) IS - Corrects for shift-type camera shake, which typically occurs in macro (close-up) shooting. Dynamic IS - Effective for video shooting at wide-angle focal lengths, eliminating the unwanted shaking that typically occurs while walking. Powered IS - Compensates for hand movement when shooting video at the telephoto end of the zoom range, where camera shake is magnified. Macro (Hybrid) IS - Corrects for motion blur that is likely to occur when shooting video while walking. Also compensates for the shift-type camera shake common in macro shooting. Active Tripod IS - When shooting video while using a tripod, the image stabilization is active to compensate for slight camera shake. Smart AUTO for the PowerShot N100 makes it easier than ever to capture the sharp, bright, colorful images and videos you're looking for. By assessing various factors in both the background and the subject, the system recognizes 58 predefined shooting situations and automatically selects the camera settings that will yield the best possible results. Simply frame the shot you want, and in dozens of common or challenging scenarios the camera takes care of the rest. Hard-to-capture shots such as moving subjects, night scenes, backlit subjects, and landscapes at evening or on a bright, snowy day are instantly and effortlessly captured as "keeper" shots. Smart AUTO makes the PowerShot N100 ideal for capturing excellent quality still images and video on the go. Dual Capture - The camera captures the scene and the photographer's expression to create a picture-in-picture effect. Background Defocus - Creates attractive background blur, selectable in three different levels, to imbue photos with the look of a classic portrait. iFrame Movie - The Apple®movie format, iFrame, makes it easier and quicker to import and upload videos while retaining high image quality. The PowerShot N100 features ECO Mode, which provides more shots per single charge through LCD monitor and camera power management. ECO Mode can be activated for easy power preservation when an outlet is unavailable or the moment is too exciting to put the camera down. The mode quickly wakes the camera from sleep when a button is pressed. With ECO Mode activated to conserve power, you can even stay connected for longer with the built-in Wi-Fi® featured on the camera. When the fun with family and friends runs late into the night, you can be assured your camera can keep up. It's quick and easy to make beautiful prints from your PowerShot camera. With the built-in Wi-Fi® on your PowerShot camera, it's easy to send your images to a PictBridge (Wireless LAN) compatible printer. Or use the Direct Print system; simply connect your PowerShot N100 camera to a Canon PIXMA or SELPHY photo printer with a USB cable and press the button to print. Easily turn every favorite moment into an amazing photo. Watch the video to learn more and experience the PowerShot N100.